Years ago my friend Tom Dicicco, who was an upcoming producer then and now a regular guest at Berghain, told me about Kryptic Minds. “They are reeeeealy good”, he said, with a knowing nod, as if he knew they were going to be that big as they are now. With a heritage of dark, soundfocused and complex drum’n’bass they formed a whole genre of dub heavy, reduced and dense dubstep. The niche of dubstep I really love. They are part of the widespread DMZ crew, releasing on their very own Osiris Records and have a worldwide followership who love their “fearsome sub bass assaults that lead listeners into an edgy otherworld”. 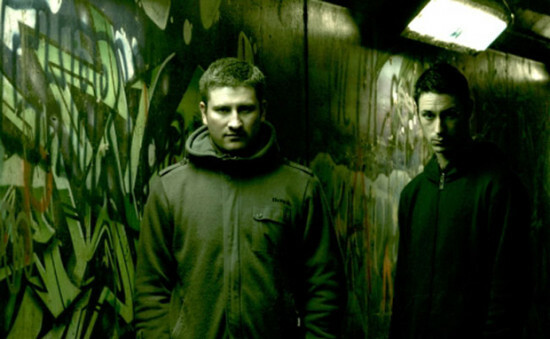 Their slow and focused tracks produce an energy which is highly hypnotic and infectious and to me they have been very influential in my own dubstep voyage since 2006. I was especially blown away by their performance at Outlook festival together with Youngsta. It was just so massive and overwhelming. Now they released a mix as a part of the famous Fabric series. Check it out as it subtly driving forward and roomfilling. The better your soundsystem the more the bass will come to life.